Generally my make up purchasing technique involves going to a counter – benefit, MAC, Clinique and asking them to choose for me. So I’m not an expert on make-up. However I found this article at The Beauty Cloud very educational. 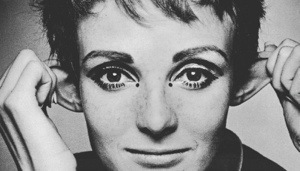 It reminded me of the bit in Grace Coddington’s book about her modelling make-up. It all makes sense now.